Drivers love the styling, efficiency, versatility and safety of the Honda CR-V, which is part of the reason it stands out among a crowd of highly competitive crossover SUVs in its segment. The CR-V’s design combines a roomy interior with a small footprint, performance, and efficiency in an effortless style that must be seen to be appreciated. It offers a sporty feel while remaining economical, thanks to the turbocharged engine so popular with drivers. Just get behind the wheel, and you will love the way it handles corners with athleticism. There is a range of trims and features offered, providing a configuration for everyone. You also get some of the most advanced safety technology available on the market when you go with a CR-V. The driver that is looking for the best safety features in a crossover that is economical and comfortable should take the Honda CR-V for a spin. Looking for some of the best deals on a CR-V? Of course you are! That’s why you should contact us immediately to schedule a CR-V test drive at Renaldo Honda. More and more Shelby, Kings Mountain, and Gastonia shoppers are turning to our Honda dealership for all their new and used transportation needs. The CR-V is, without a doubt, one of our hottest selling models and that’s why we always strive to keep a great selection of these units in stock. We are also proud to offer incredible purchase and lease specials on all our new CR-V models. We invite you to visit our dealership located at 4421 E Dixon Blvd, Shelby, NC 28152. Offered in five separate trim levels, the 2019 Honda CR-V comes in: LX, Sport, EX, EX-L, and Touring. The base LX comes with remote entry, 17-inch alloy wheels, a 5-inch color screen, a USB port, Bluetooth®*, 60/40-split second row seats, LED brake lights and daytime running lights, and more. The Sport trim gains Apple CarPlay, roof rails, a leather-wrapped steering wheel and shift knob, Android Auto, 18-inch alloy wheels, fog lights, a 7-inch display screen, sport pedals, and more. Drivers who choose the EX trim level will receive HD radio, HondaLink, a power moonroof, heated front seats, push button start, the Honda Sensing Suite, and SiriusXM radio. The EX-L offers 17-inch alloy wheels, leather-trimmed seats, an 18-Watt audio system with six speakers, an auto-dimming rearview mirror, and a leather-wrapped steering wheel and shift knob. The top trim – the Touring – provides an eight-way power driver’s seat, the HomeLink remote system, a navigation system, LED fog lights, and LED headlights. The CR-V has a brief history in the United States, having appeared on the market in 1997, just a couple of years after its introduction in Japan. Honda delayed the North American introduction of the CR-V because the Passport had just become available and it was similarly sized. Originally, there was some loose inspiration gleaned from the Civic in designing the CR-V, and it had only one trim available. This offered a 4-speed automatic transmission, 2.0-liter engine that put out 126-horsepower and had Real-Time 4WD available. The 1999 model year made a second trim available with an upgraded engine putting out 146 horsepower. In 2006 there was a mid-year refresh that made the second-generation Honda CR-V more spacious and comfortable than previous years. More advances were added with the third generation offering upgrades to the audio system, front bucket seats that are wider, and keyless entry all as standard features. 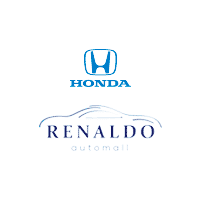 Why Choose Renaldo Honda in Shelby, NC? It doesn’t take long for drivers to see why the Honda CR-V is so popular. With its comfortable cabin, turbocharged engine, and plenty of storage, the CR-V practically begs for extended road trips. Our team of experts at Renaldo Honda has been helping Shelby drivers experience exceptional service for many years. We can introduce you to the different Honda models and answer any questions you have about the CR-V and its various configurations. Our team is happy to make bringing home a new Honda easy with onsite financing and maintaining it even easier with our professional servicing center. Stop in and we can help you test drive your favorite Honda model today.